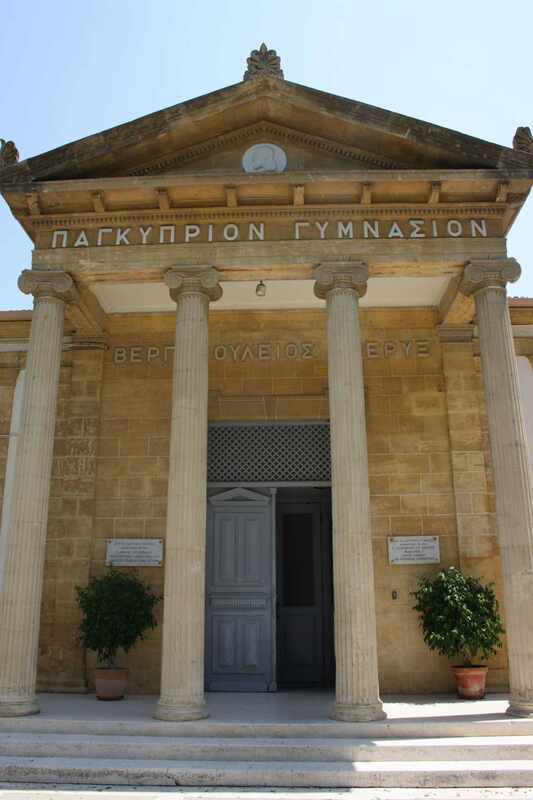 Severios Library owned by the Pancyprian Gymnasium started operations on 1812, the same year the Hellenic School started, which was later renamed to Pancyprian Gymnasium. The founder of Severios Library and of Hellenic School, was the national hero Archbishop Kyprianos, who at the time provided the library theological books, publications of ancient Greek writers and manuscripts. The library was continually enriched with new notable books, mostly coming in from donations. The valuable material of the library was destroyed due to a great fire on 1920 which also destroyed the Pancyprian Gymnasium. On 1927 the new Library was founded, were it was continually supplied with new material through students and citizens donations. A milestone to the building’s evolution, was a hefty donation from Demosthenes Severis, a graduate of the Pancyprian Gymnasium, which donation was used to build a separate building to house the Library. The new building was modern and included a study hall, offices, store rooms and museums. 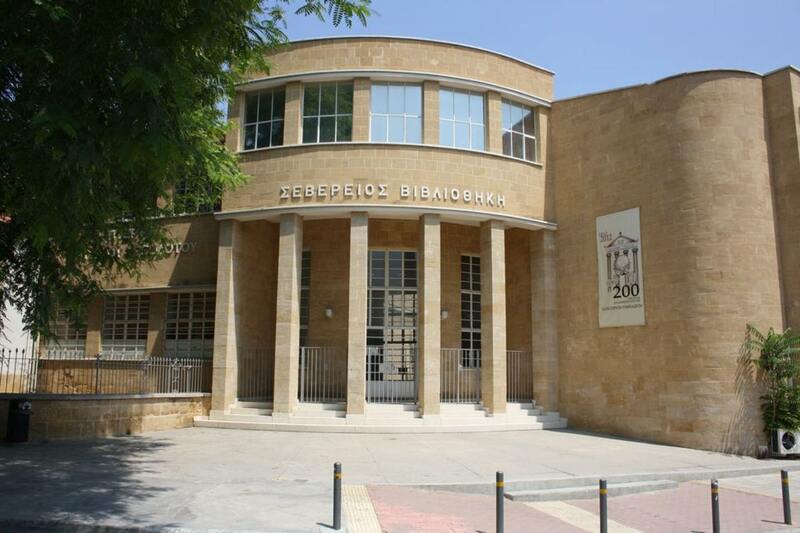 Gradually the library was enriched with new books and publications and therefore was made into the most prominent Libraries in Cyprus, that could accommodate both Pancyprian Gymnasium students and other citizens. During the revolutionary war of EOKA, Severios Library became a symbol of resistance against the English colonialism. On 26th of January on 1956, students of the Pancyprian Gymnasium, on the occasion of the arrest of some of their fellow students from previous incidents, climb up to the roof library to fight off the British soldiers. The colonialism authority at the time took strict stance against the school by delisting the school from the Middle Education School registry. For this reason, the term “secret school” was revived. Today Severios Library consists of a considerable number of books, mostly philological and historical that are of immense value. Added to that Greek and foreign publications are included, which many of them are not being published anymore.